Here's just a little information about the company. "At SBR Nutrition, we are dedicated to enhancing your overall health and well-being. Our mission is to consistently deliver high quality products with a focus on helping you reach your wellness goals. We are confident in the “Liquid Advantage” and we want you to experience the difference yourself. That is why all purchases are protected with a 90 day, 100% money back guarantee. We are committed to making our relationship last a lifetime." The options available are Biotin, Vitamin B12, Turmeric, Theanine, Ashwagandha, Hydration Formula, and D3 + K2. 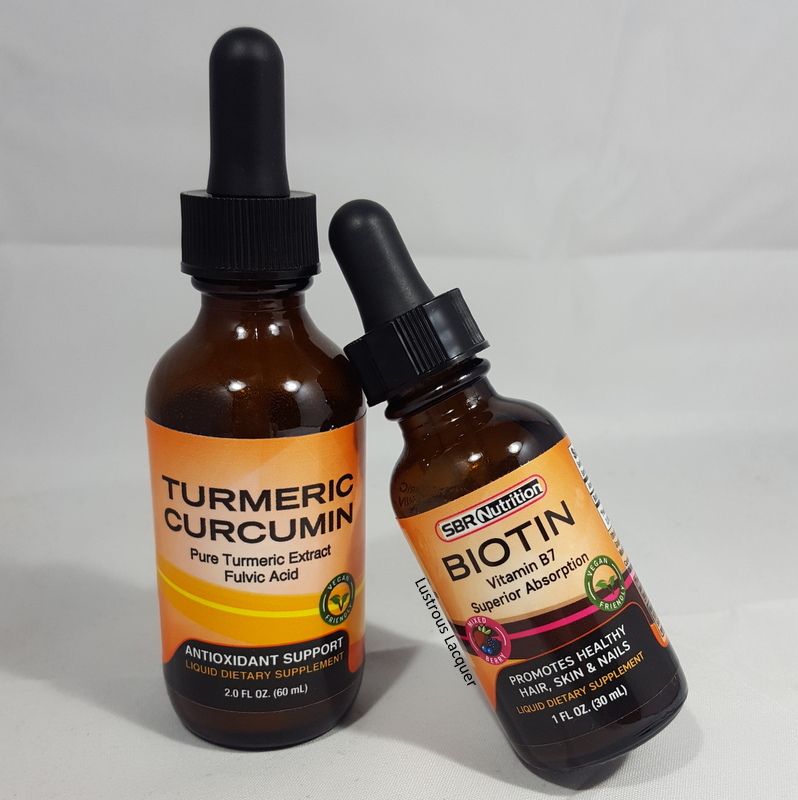 I chose to review the Turmeric and Biotin. 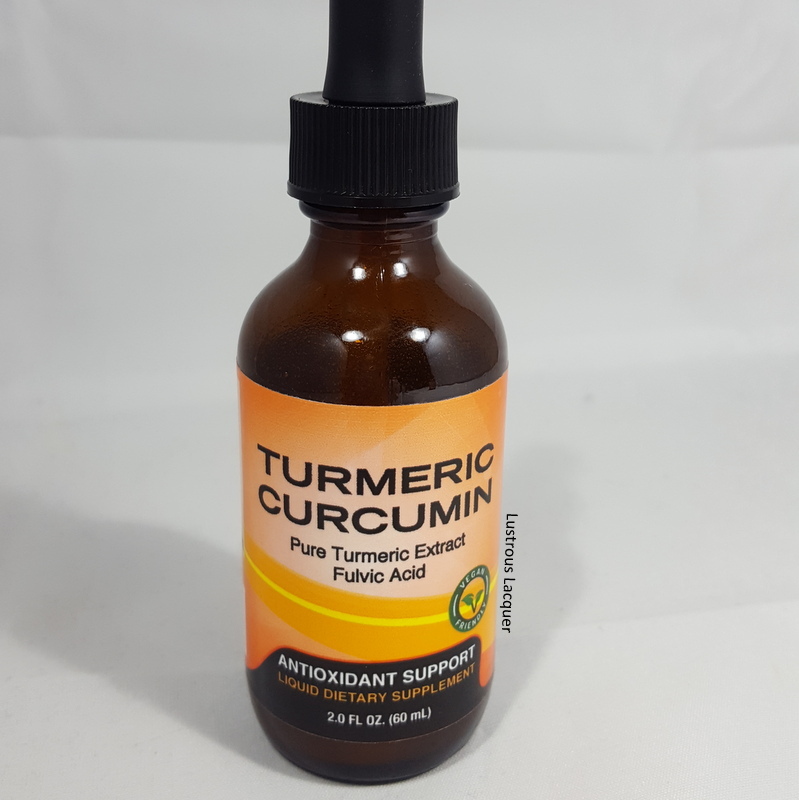 Liquid Turmeric: Turmeric continues to garner attention from the health community, thanks to its antioxidant properties and potential to help support cardiovascular health, provide natural pain relief and promote healthy joints. Despite their extraordinary potential, many herbs can have limited benefits due to poor absorption. SBR Nutrition helps alleviate this absorption issue by bringing you our high quality Turmeric Curcumin liquid drops. Our liquid formula helps ensure your body gets the nutrients it needs — faster. The bottle of this says to take 2 droppers full daily and you can mix it with juice or water. I would recommend adding it to something as the taste is not one that is enjoyable. 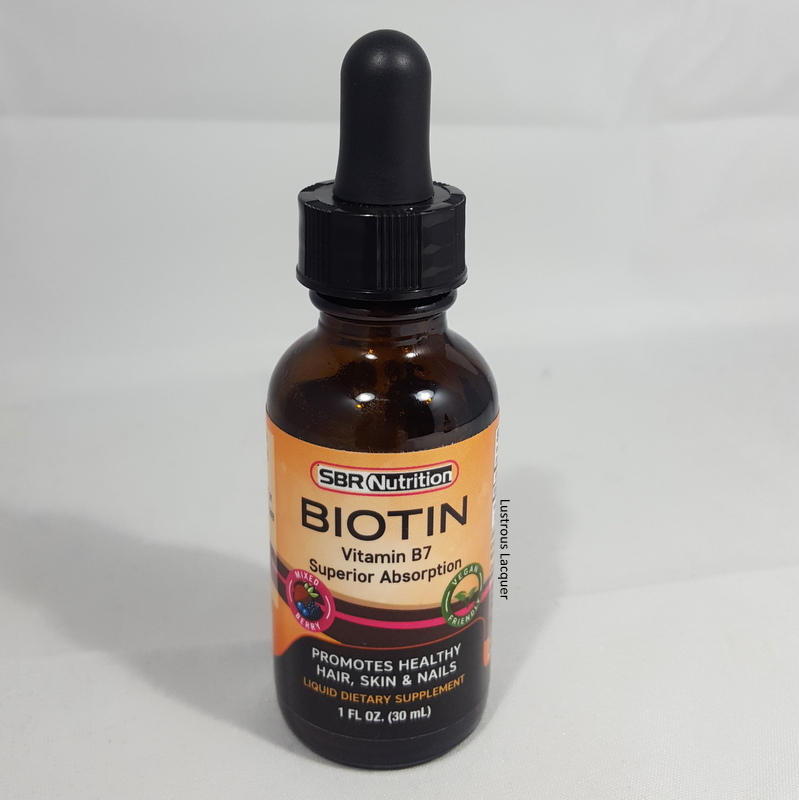 Liquid Biotin: Often called “the beauty nutrient” because of the nourishment it delivers your hair, skin, and nails to those that are deficient in Biotin. This member of the B-vitamin complex is a key cofactor of enzymes involved in fatty acid metabolism, helping to supply cells with energy. The taste of this is a mixed berry and is very enjoyable. My only issue is that the instructions are to take half a dropper daily but there are no markings on the dropper. I have to estimate what half a dropper is which isn't impossible but not entirely user-friendly. While I've only been taking these liquid vitamins for just over a week I have seen small results. I've noticed less hair falling out when I brush it or take a shower. My knees haven't hurt as much after a full day of standing at work. I am hoping that the results will continue to grow as I continue taking the vitamins. Here is some more information on the vitamins available in case you are like me and are unsure of what they can do for you. Liquid Vitamin B12: A breakthrough in vitamin B-12 supplementation with Methylcobalamin, the neurologically active form of B-12. Traditional B-12 supplements give you cyanocobalamin, a form that the body must convert into methylcobalamin to harness its neuro-nourishing potential. Our Methylcobalamin completes this conversion for you, so your body gets more active B-12 faster, for the health of your entire nervous system. Liquid Theanine: This unique amino acid derived from green tea leaves has been extensively researched and shown to promote relaxation. Liquid Ashwagandha: Ashwagandha, one of the most powerful herbs in Ayurvedic healing, has been used since ancient times for a wide variety of conditions and is most well-known for its restorative benefits. Helps to aid in the reduction of anxiety and stress with an increase in memory, cognition, muscle strength, energy, endurance, and more. Liquid Hydration Formula: An electrolyte-replenishing, liquid concentrate made for those who don’t want unnecessary additives, sweeteners, or calories in their hydration products. Its mineral base is a significantly more efficient form of hydration than water alone. Formulated with fulvic acid, humic acid, over 74 trace colloidal ionic minerals, electrolytes, amino acids, B vitamins, an array of enzymes and unique polysaccharides. Liquid D3 + K2: Vitamin D and Vitamin K2 work together synergistically – each nutrient aiding the other in its functions. Taken together, the nutrients can effectively support your overall heart health, your vascular (arteries and veins) system, and your respiratory and immune systems. They also help you maintain strong bones, among many other benefits. You can purchase these vitamins from SBR or find them on Amazon. Thanks for stopping by and Happy Polishing! Welcome back for another installment of the Untried A-Z Challenge. We are up to week 20 which brings us to the letter T. This challenge will run all week long and everyone is welcome to join. 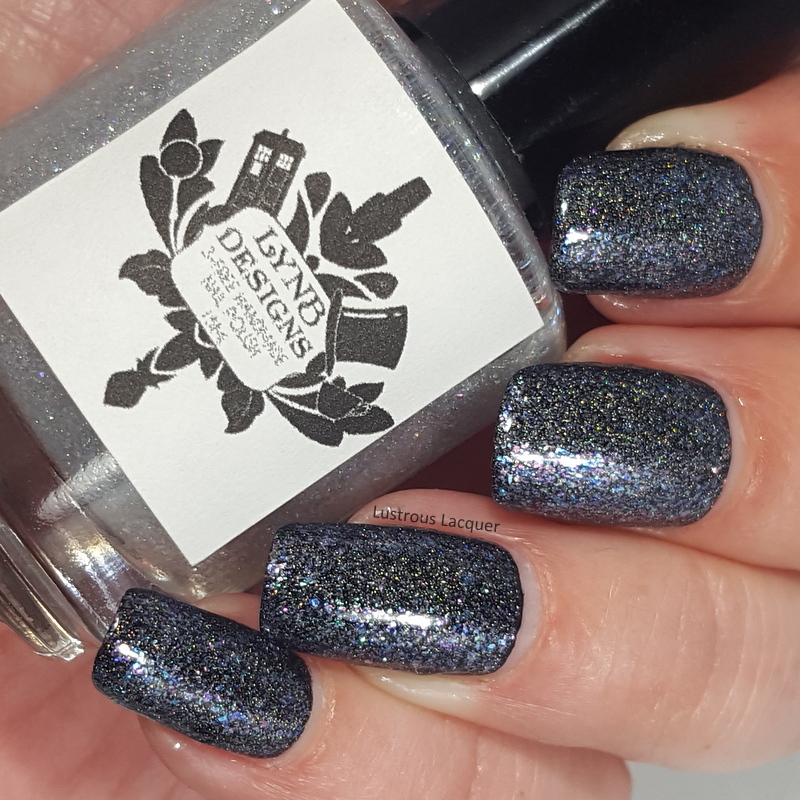 Just add your post to the linkup located at the end of my post, the only requirement is that either the Brand Name or polish name begins with the letter T.
For my letter T polish, I wanted to use a brand that I haven't featured in this challenge yet. That narrowed down my options for the week which I found very helpful. I don't know about you but with the size of my collection, it's hard to pick a polish sometimes. And mine could be considered a small collection compared to some of you out there. I decided to share with you today Tiara On Top from LynBDesings. This polish was released in 2014 as a limited edition topper from the Princess Personality Collection. Because this is a topper I've decided to show it two way. 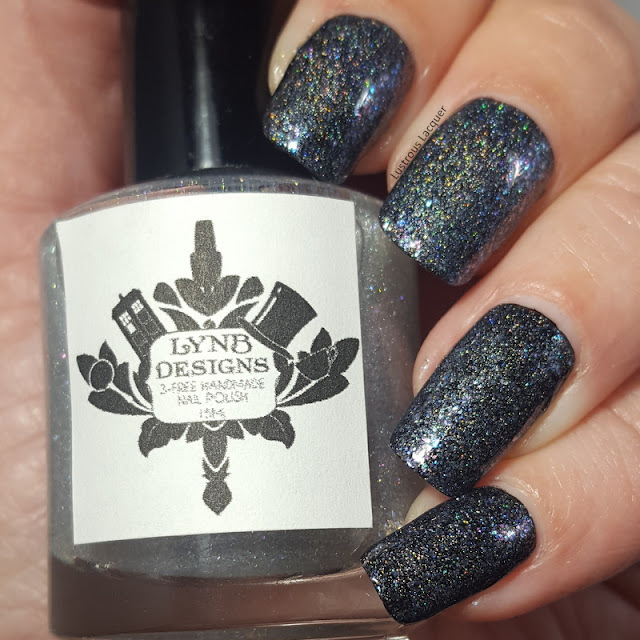 On its own and layered over Sinful Colors Black on Black. 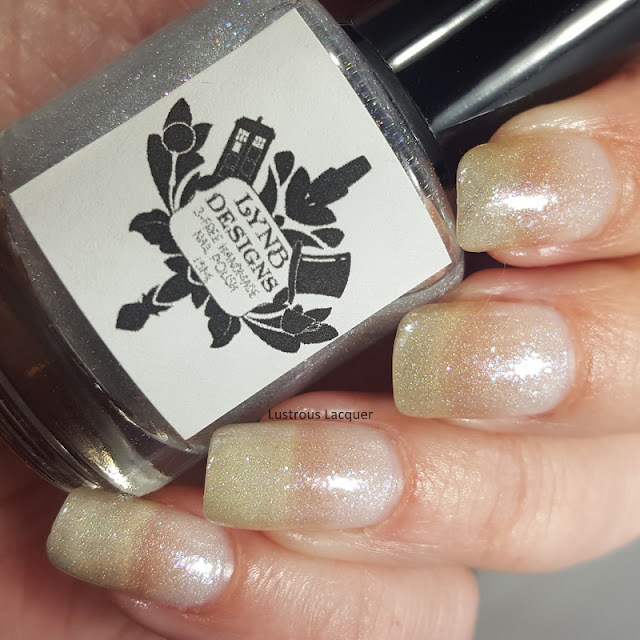 Tiara on Top is a clear based polish with iridescent flakes and holographic micro glitter. 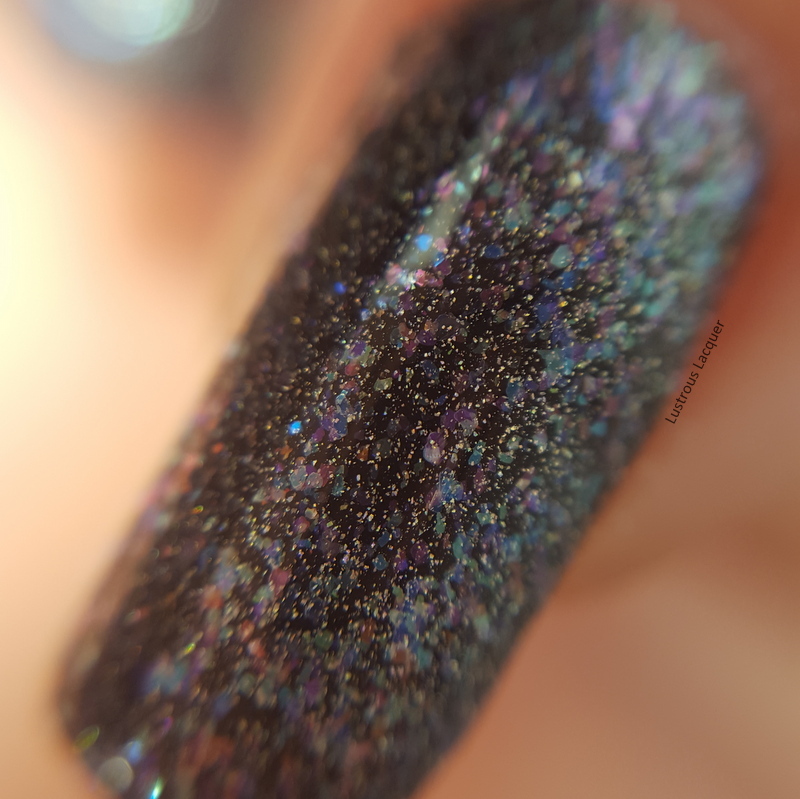 Obviously, this polish is sheer since it's a topper but it covers evenly and each flake lays completely flat against the nail. I've shown it here as 3 coats alone plus a glossy top coat and two coats over black plus a glossy top coat. I like the depth that you get from the flakes and glitter. 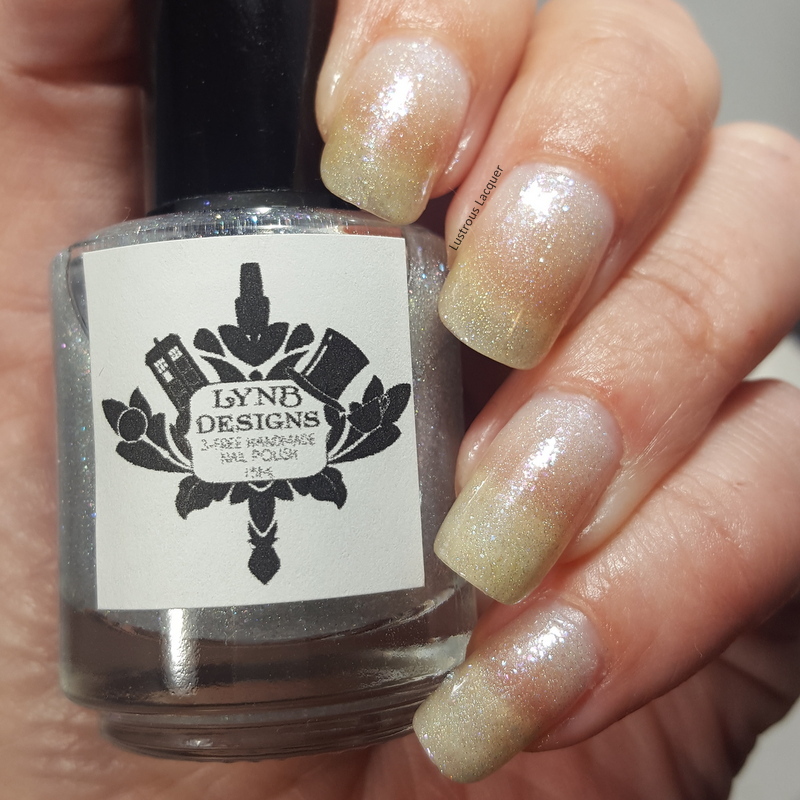 My nails had a different look depending on what angle they were at and the sparkle was amazing. I have a feeling this would look great over lighter colors also. I'm a little sad that I let this polish sit in my untrieds for so long. I mean just look at that macro shot, it's so pretty with the pastel colors popping through. You can be sure that I will be using this one again. I want to test it out over some lighter shades, maybe even some pastels. That's all I have for you today, I hope you enjoyed this look at Tiara on Top from LynBDesigns. Make sure to check out the other posts in the linkup. 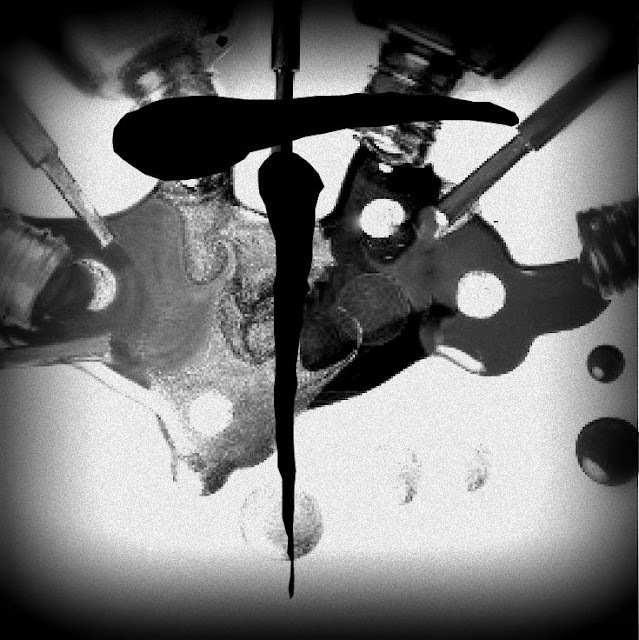 Thanks for stopping by and Happy Polishing!